In this post I want to cover the most basic healthy eating plan; the 7 basic food bullets to eat and live by that you will want to check off each day to ensure you are always eating healthy, or more accurately put “nutrient rich”. [See below] but first read the lead in so that you appreciate these, “the magnificent 7”, even more. Amidst an endless flurry of new and existing foodstuffs “designed” to seduce us, highjack our taste buds and subsequently our health; it is the following 7-point-plan that will ensure you’re body is optimally nourished, flooded with the micronutrients that make a healthy eating style “healthy” and able to function right. Now, I know this may seem like just another set of food guidelines; another list of “superfoods” you now need to eat on top of all the others you’ve read about. And if you were to think that you would be partly true. It is a list, but it’s not “another” list. 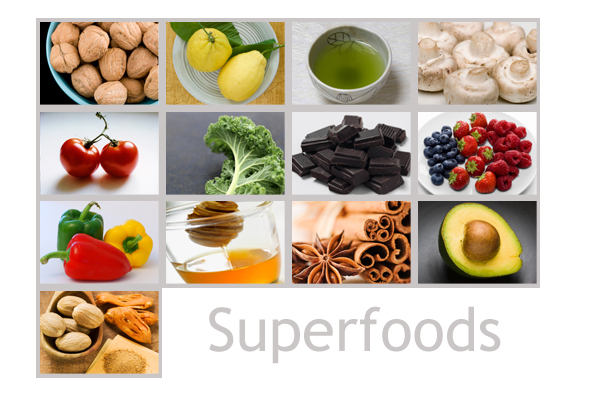 This is not any ole’ list of superfoods. This is the simplest version of The Most Basic Way to Eat Nutrient Rich and it alone can satisfy your body every day! What? That’s all it takes to satisfy your body? Yep, at a basic and balanced level. Of course, if you are an athlete, among countless other factors, this may change, but this is the most basic way to eat nutrient rich and it is true, it’s can feel like the needle in a haystack given how many other foodstuffs there are to choose from. Of course the food industry is not interested in you figuring out what or where “the needle” is. Making sure YOU, do not know much about it, is what drives confusion and consumption of anything and everything that’s promoted; Save, the amazing work done by today’s food revolutionaries (like us and many others) who are telling the real story. The food industry (particularly the meat and dairy and fast and convenience food industries) want you to believe it’s all “healthy” so to speak, as determined by the people promoting it. Cheese Pizza is even considered a vegetable in the government’s eyes because it has tomato sauce on it rich in lycopene; one phytochemical (albeit a powerful one) out of thousands! Of course, just add low fat to a muffin and it too is healthy! Unfortunately, we have gotten so far away from what’s actually healthy with too many foodstuffs that have the buy-in from many industries who are vested in keeping confusion, consumption and disease alive; we, the people stay on an endless treadmill (figuratively speaking) chasing lots of protein, vitamin C, and other “popular nutrients” with foods stuffs that never really serve our nutrient needs, the way whole, plant based, nutrient rich “superfoods” always will. Here are the 7 Basic Food Bullets to Eat and Live By Nutrient Rich Principles. Just start adding these “modules” of foods to your current eating style, then you will begin to change the way you eat. Eventually you’ll challenge yourself and make the Switch to a Nutrient Rich Healthy Eating style, but eating 90% or More Plant Based Nutrient Rich for 90 Day’s or More! After that, you’ll rarely go back to nutrient poor ways of eating. Eat a Nutrient Rich, vegetable-based diet. This means you want vegetables at the base of your food pyramid in your mind, or first and foremost on your plate. It doesn’t mean eat only vegetables. It just means base your diet on vegetables since they are the most nutrient rich and calorie appropriate foods in existence. Leafy, green and colored vegetables both nutrify and detoxify the body and by virtue of the fact that they don’t contain cholesterol, saturated fat and other refined and added unnatural ingredients (salt, oil and sugar, chemicals) that you have no need for from food; they will protect your body from inflammation – from the most visible inflammation – weight gain – to the invisible atherosclerotic plaque buildup. Eat 1 cup to one can’s worth of beans each day. A high-fiber bean-rich diet is as effective as a low-carbohydrate diet for weight loss, although, only a bean-rich diet lowered atherogenic lipids . Not only are beans very tasty, they are also very satisfying and nutrient rich. Bonus Bullet: Supplement Intelligently. Even eating a high nutrient density diet, full of super nutrient-rich foods, it’s a good idea to supplement various substances known to be limited no matter what eating style you have due to modern food production and limited access to sunlight, and depending on the nutritional quality of your previous usual eating style. – Vitamin B12, Vitamin D, and a well-designed multivitamin that does not contain substances such as vitamins A & E… Learn More Here > . Eating healthy “Nutrient Rich” is not difficult. It can actually be so simple, quick and easy that it may even make eating today’s modern fast and convenient foods seem like too much work and too expensive. It’s easier to eat, easier to digest and you will get no distractions after you eat in this most basic way, because you won’t create weight and health complications you then have to deal with. The hard part is getting unhooked from the foodstuffs that have a hold on you. Which is why the 90 / 90 Challenge is so Powerful. (You’ll learn more about this as we move forward together). You don’t need to be perfect, but if you want to be healthy and drop the weight of the past for good…, understanding The 7 Basic Food Bullets to Eat and Live By Nutrient Rich Eating Principles is essential. Performance Lifestyle Trainer and Coach. Asian Pac J Cancer Prev. 2013;14(3):1565-70. Cruciferous vegetables: dietary phytochemicals for cancer prevention. [4}Jakobsen MU, Dethlefsen C, Joensen AM, et al: Intake of carbohydrates compared with intake of saturated fatty acids and risk of myocardial infarction: importance of the glycemic index. The American journal of clinical nutrition 2010;91:1764-1768. Siri-Tarino PW, Sun Q, Hu FB, et al: Saturated fat, carbohydrate, and cardiovascular disease. Am J Clin Nutr 2010;91:502-509. Bassett CM, Rodriguez-Leyva D, Pierce GN: Experimental and clinical research findings on the cardiovascular benefits of consuming flaxseed. Appl Physiol Nutr Metab 2009;34:965-974.